 Mouse anti Human interleukin-11, clone C01-1C2, recognizes human interleukin-11 (IL-11), a 178 amino acid non-glycosylated pleiotropic cytokine, also known as AGIF. IL-11 is a 19 kDa member of the IL-6 of cytokines. It signals through a high affinity receptor complex, made up of the IL-11 receptor alpha chain (IL-11Ralpha) and gp130 which triggers homo- or hetero-dimerization of gp130. Although gp130 and its dimer partners possess no kinase activity, the dimerization of gp130 leads to activation of tyrosine kinases and modulation of transcriptional activity. IL-11 is an important regulator in the haematopoiesis of erythroid, myeloid and megakaryocyte progenitor cells and is expressed in a variety of tissues including the lung, bone, thymus and connective tissue. Expression of IL-11 in endometrial stromal cells is vital for normal murine embryo development, and implicated in decidualization during human pregnancy. IL-11 is a functionally diverse signalling molecule with roles in megakaryopoiesis (Dams-Kozlowska et al. 2013), bone growth (Sims et al. 2005) and T cell proliferation (Curti et al. 2002). Dams-kozlowska, H. et al. (2013) Designer cytokine hyper interleukin 11 (H11) is a megakaryopoietic factor. Int J Med Sci. 10 (9): 1157-65. Journal of Bone and Mineral Research 20: 1093–102.